Beginning Sept. 1, Delta is refreshing its TUMI amenity kits in the Delta One cabin, featuring a new look and feel that customers can make uniquely their own. 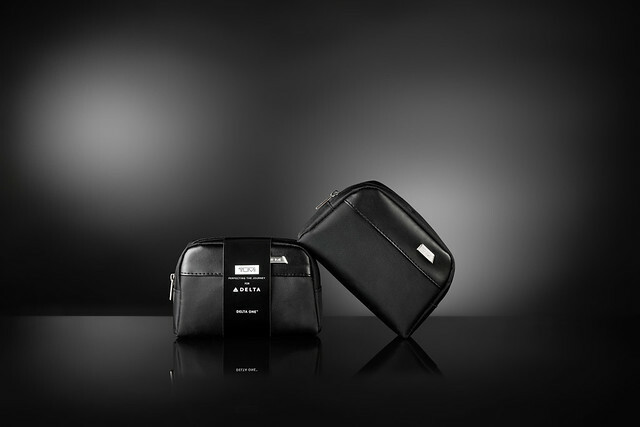 Delta’s TUMI hard-case amenity kit, which is based off of the company’s popular 19 Degree collection, will allow customers to monogram a patch on the front of the case, a first for any airline amenity. The Delta One kits will continue to combine two premium, high-quality brands – TUMI and Kiehl’s Since 1851 – to create a spa-like experience in the sky, revitalizing skin on Delta’s longest flights. The refreshed kits will include new amenities such as hand cleanser, a mouthwash stick and TUMI eyeshades as well as updated striped socks. Additionally, the kits will feature travel essentials including Kiehl’s Lip Balm #1 and grapefruit-scented Deluxe Hand and Body Lotion with Aloe Vera and Oatmeal, , a dental kit featuring Crest toothpaste, tissues, mouthwash and ear plugs. The kits will be available on all Delta One flights, including coast-to-coast flights between JFK and LAX/SFO, BOS-SFO and DCA-LAX, and will feature hard- and soft-cased TUMI kits. Customers will enjoy a silver hard-sided amenity kit outbound from the U.S. and a soft-sided black amenity kit inbound to the U.S., allowing them to add variety to their amenity kit collection each way. Complimentary monogramming will be available at any TUMI retail store aside from airport or outlet locations. Customers should bring the patch, which is located inside the kits, to the store to be monogrammed. In addition to Delta One, the airline is refreshing its offerings in each cabin to continue to provide an unparalleled level of service and amenities for every traveler. 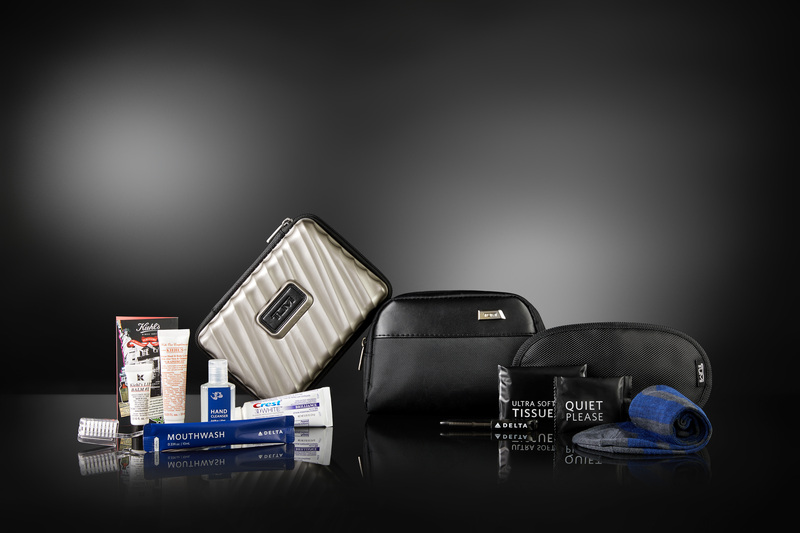 Customers in the Delta Premium Select cabin, which debuts on Delta’s first Airbus A350 this fall, will receive a soft TUMI blue pouch which includes Malin+Goetz vitamin B lotion, a dental kit featuring Colgate toothpaste, an eye mask, socks and ear plugs. Additionally, on international and select long-haul domestic flights, Delta Comfort+ customers receive a Rest and Refresh kit with eye shades, ear plugs and a dental kit featuring Colgate toothpaste, while Main Cabin customers receive kits that include eye shades and ear plugs. This latest enhancement is part of the airline’s multi-billion dollar investment in the customer experience that includes a cabin modernization program featuring new seats, seatback entertainment systems with free entertainment, high-capacity overhead bins, access to Wi-Fi on nearly all flights, free Main Cabin meals on select flights, upgraded Main Cabin snacks, an Alessi-designed collection of serviceware, Westin Heavenly® In-Flight Bedding, chef-curated meals paired with wines hand-selected by Master Sommelier Andrea Robinson, noise-canceling LSTN headphones and more.